10 Tips to help you get it right in your small garden. 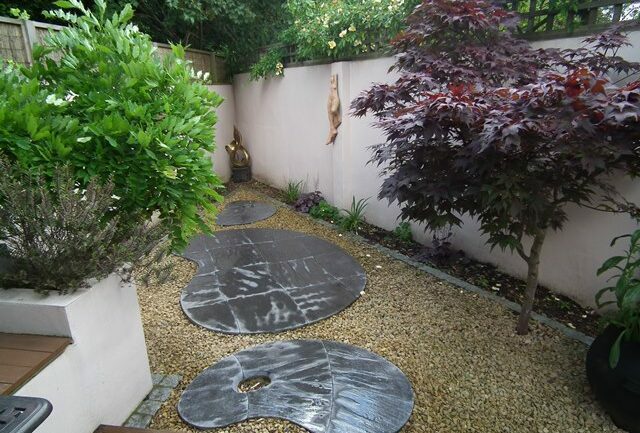 There are some restrictions on small gardens, but they should not include the imagination. 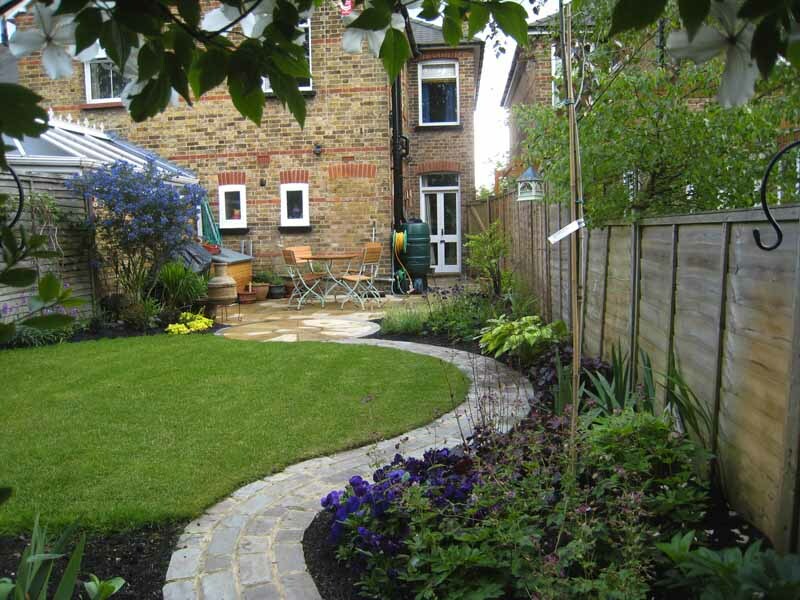 Here a few insider tips to remember when planning your own small garden. Decide on the character of your garden. What do you want to use it for? Is it a play space, an entertaining space, do you want to grow food, fill it with plants? Will it be lush and vibrant or orderly and formal? Choose your hard landscaping materials carefully, and only use one or two materials. Any more and the garden will feel cluttered and messy. It must be laid well as mistakes are more obvious in a small garden. Identify the functional and usable space you need early on. If you need a table that seats 6 people plan this space well and generously. Leave room to move around. No one wants to fall into the flower bed when they are eating dinner. Be generous with your planting beds. This creates a sense of depth, and allows plants to be layered creating interest and texture. (Wider beds get a better chance of collecting rainfall. Use height: Create structures that draw the eye upwards and don’t be frightened to use trees in the garden, (choose wisely) but introducing tall plants creates interest and can shield you from ugly views. 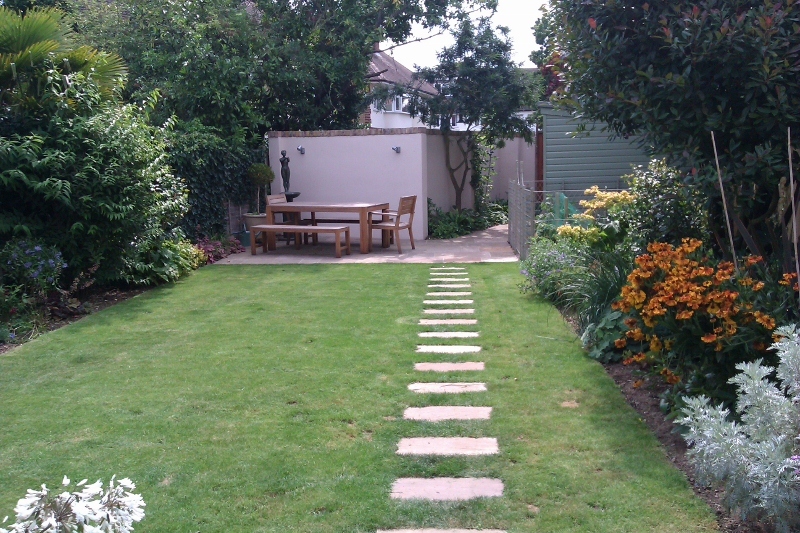 Changes in level: if you garden slopes this can be a real visual feature, make sure your steps are clearly visible, consider lighting, be as generous as space allows for safety. Irrigation: many small gardens are very dry, especially when surrounded by buildings. A simple irrigation system can be set up with a timer so that you garden gets the water it needs and may not get from rainfall. Plant choice. Consider your plants carefully. They need to be suited to your particular space, and the character of the garden you want to create; whether it be a sun trap or a shady spot. The smaller your space the smaller the number of species you should consider. One of everything you like will just be a chaotic tapestry where nothing stands out and everything gets lost. Using plants such as wall shrubs, climbers and trees a small space can feel larger if you can’t see the edges. 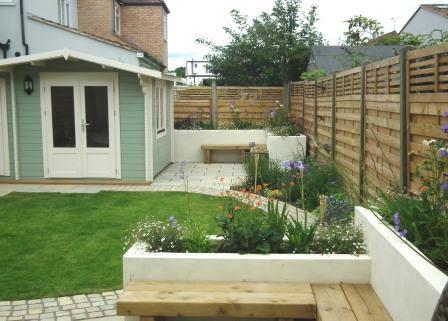 Storage: A small garden needs to be practical, but be creative with storage solutions and where you put them. They should not be the key focal point of your garden, unless they are beautiful. 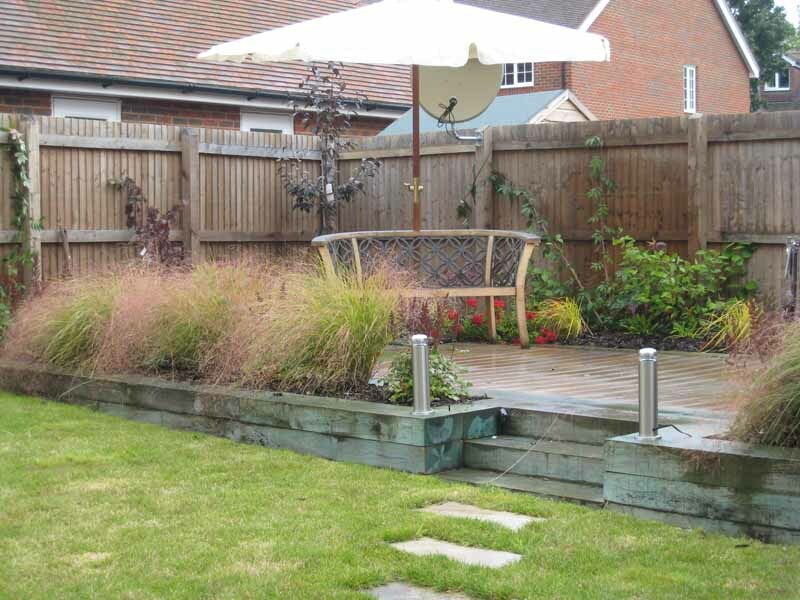 A small garden can be more expensive per meter than a large garden to build. Remember that plants are always cheaper than hard landscaping and don’t need an expert to plant.